It is important to hire a family law attorney that you can trust. These matters are extremely personal and have a significant emotional impact. Our attorneys know that in many cases, such as a divorce involving children, we will need to have an on-going relationship with our clients. 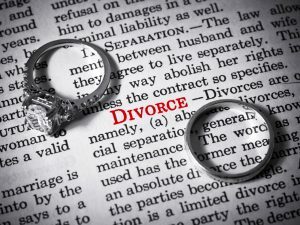 Whether or not one spouse receives maintenance payments from the other is only one issue decided in a divorce action. Equally important as what happens to the property that has been accumulated during the course of the marriage. There are varying situations such as joint business ventures. Other couples have based the professional progress of one spouse on the other spouse’s willingness to put their career on hold. These financial trade-offs all get sorted out over the course of a marriage; but when the marriage is over, one spouse finds themselves without pension benefits, without savings and without business assets from which they can earn money to provide for themselves. At RIZZO & DIERSEN, we have come into play to ensure a fair and reasonable division of these assets. If, on the other hand, you find yourself accused of domestic violence merely as a tool to obtain a better property settlement or in an effort to cut off your rights to visit your children, you need someone who will fight to protect your rights as a parent and have the court see the accusations for what they are. As a result of the abundance of divorces and remarriages, there has been an increase in the number of actions brought by stepparents to adopt children from their present spouse’s former marriages. In some cases, these proceedings are challenged; but in others, they are not. Whether or not your spouse’s children from previous marriages are viewed as your children can determine whether or not they can participate in your work-sponsored benefit programs and whether or not they can legally inherit your property without a will.